Many health-conscious people believe that avoiding aspartame, found in over 5000 products under brand names such as Equal and NutraSweet, can improve their quality of life. The history of this synthetic sweetener’s approval by the U.S. Food and Drug Administration (FDA), including a long record of consumer complaints and the agency’s demonstrated insensitivity to public concern, suggests they’re right. In October 1980 the Public Board of Inquiry (PBOI) impaneled by the FDA to evaluate aspartame safety found that the chemical caused an unacceptable level of brain tumors in animal testing. Based on this fact, the PBOI ruled that aspartame should not be added to the food supply. This ruling capped 15 years of regulatory ineptitude, chicanery and deception by the FDA and the Searle drug company, aspartame’s discoverer and manufacturer (acquired by Monsanto in 1985), and kicked off another two decades of maneuvering, manipulating and dissembling by FDA, Searle and Monsanto. In 1965, a Searle scientist licked some of a new ulcer drug from his fingers and discovered the sweet taste of aspartame. Eureka! Selling this chemical as a food additive to hundreds of millions of healthy people every day would mean many more dollars than limited sales to the much smaller group of ulcer sufferers. Searle, a drug company with little experience in food regulation, began studies to comply with the law — but which failed to do so. Its early tests of the substance showed it produced microscopic holes and tumors in the brains of experimental mice, epileptic seizures in monkeys, and was converted by animals into dangerous substances, including formaldehyde. In 1974, however, in spite of the information in its files, the FDA approved aspartame as a dry-foods additive. But the agency also made public for the first time the data supporting a food-additive decision. This data was subsequently reviewed by renowned brain researcher John Olney from Washington University in St. Louis, and other scientists. Dr. Olney discovered two studies showing brain tumors in rats and petitioned FDA for a public hearing. Consumer Action for Improved Foods and Drugs (represented by the author of this piece) also petitioned for a public hearing based on the approval process having been based on sloppy science and the product’s having reportedly caused epileptic seizures in monkeys and possible eye damage. Dr. Olney had already shown that aspartic acid (one aspartame component) caused microscopic holes in the brains of rats after each feeding. Aspartame also includes phenylalinine, which causes PKU in a small number of susceptible children, and methyl, or wood, alcohol which is neurotoxic in large amounts. Faced with this array of possible health dangers, FDA granted the hearing requests. In lieu of withdrawing its aspartame approval, the agency prevailed on Searle to refrain from marketing the sweetener until after completion of the hearing process. it then proposed that a Public Board of Inquiry (PBOI) review the matter. In July of 1975, as the FDA prepared for the PBOI, an FDA inspector conducted a routine review of the Searle’s Skokie Ill., testing facilities and found many deviations from proper procedures. This report led the FDA commissioner to empanel a Special Commissioner’s Task Force to review Searle’s labs. In December of 1975 the Task force reported serious problem with Searle research on a wide range of products, including aspartame. It found 11 pivotal studies conducted in a manner so flawed as to raise doubts about aspartame safety and create the possibility of serious criminal liability for Searle. The FDA then stayed aspartame’s approval. It also contracted, over serious internal objection, with a group of university pathologists (paid by Searle) to review most of the studies, set up a task force to review three studies and asked the U.S. Attorney for Chicago to seek a grand jury review of the monkey seizure study. The pathologists paid by Searle only reviewed failure to properly report data and not the study’s design or conduct. They found no serious problems. The FDA task force found Searle’s key tumor safety study unreliable, but was ignored. The U.S. attorney let the statue of limitations run out, then (along with two aides) proceeded to join Searle’s law firm. While these committees met, the FDA organized the PBOI. Searle, the petitioners and the FDA Bureau of Foods each nominated three members for the board and the FDA commissioner selected one member from each list. the board, which convened in January of 1980, rejected petitioners’ request to include the commissioner’s task force information in its deliberations. Still, in October 1980, based on its limited review, the board blocked aspartame marketing until the tumor studies could be explained. Unless the commissioner overruled the board, the matter was closed. In November 1980, however, the country elected Ronald Reagan President. Donald Rumsfeld (former congressman from Skokie, former White House chief of staff, former secretary of defense and since January 1977 president of Searle) joined the Reagan transition team. A full court press against the board decision began. In January 1981 Rumsfeld told a sales meeting, according to one attendee, that he would call in his chips and get aspartame approved by the end of the year. On January 25th, the day the new president took office, the previous FDA commissioner’s authority was suspended, and the next month, the commissioner’s job went to Dr. Arthur Hull Hayes. Transition records do not show why the administration chose Hayes, a professor and Defense Department contract researcher. In July Hayes, defying FDA advisors, approved aspartame for dry foods — his first major decision. In November 1983 the FDA approved aspartame for soft drinks — Hayes’ last decision. In November 1983 Hayes, under fire for accepting corporate gifts, left the agency and went to Searle’s public-relations firm as senior medical advisor. Later Searle lawyer Robert Shapiro named aspartame NutraSweet. Monsanto purchased Searle. Rumsfeld received a $12 million bonus. Shapiro is now Monsanto president. Shortly after the FDA soft-drink approval, Searle began test marketing, and complaints began to arrive at the FDA — of such reactions as dizziness, blurred vision, headaches, and seizures. The complaints were more serious than the agency had ever received on any food additive, At the same time, scientists began looking more closely at this manufactured chemical sweetener. In 1985, the FDA asked the Centers for Disease Control (CDC) to review the first 650 complaints (there are now over 10,000). CDC found that the symptoms in approximately 25% of the complainants had stopped and then restarted, corresponding with their having stopped and then restarted, either purposely or by accident, aspartame consumption. The CDC also identified several specific subjects whose symptoms stopped and started as they stopped and started consuming aspartame. The FDA discounted the report. The day the FDA released the CDC report, Pepsi Cola — having obtained an advance copy — announced its switch to aspartame with a worldwide media blitz. Former White House Chief of Staff Rumsfeld owed a debt of gratitude to former White House confidante and Rumsfeld friend Donald Kendal, Pepsi’s chairman. The Pepsi announcement and aggressive marketing (millions of gumballs, a red and white swirl, tough contracts) made NutraSweet known in every home. At the same time, according to data released in 1995, human brain tumors like those in the animal studies rose 10% and previously benign tumors turned virulent. Searle and FDA’s deputy commissioner said the data posed no problem. Two years later this same FDA official became vice president of clinical research for Searle. From 1985 to 1995, researchers did about 400 aspartame studies. They were divided almost evenly between those that gave assurances and those that raised questions about the sweetener. Most instructively, Searle paid for 100% of those finding no problem. All studies paid for by non-industry sources raised questions. Given this record, it is little wonder that many health-conscious people believe avoiding NutraSweet improves their quality of life. If and when a scientific consensus concludes that aspartame puts some, if not all, of its consumers at risk, it will be much too late. The point is to eat safely now. Remember: the brain you save may be your own. James S. Turner, Esq., is a partner in the 27-year-old Washington, D.C. consumer-interest law firm of Swankin and Turner. He is the author of The Chemical Feast: The Nader Report on the Food and Drug Administration, Making Your Own Baby Food, and a number of law journal and popular media articles. In the ’70s my first wife drank Tab believing it would help with her constant sinus drainage due to many allergies and keep her from gaining weight. When Diet Coke came along she began drinking it.A great deal of the time she drank it and always when she ate out. In her last year or so she bought a half gallon of it and drank it throughout her work day. She had more severe and longer last headaches and body pains. She gave up balancing our checkbooks and was having difficulty with at least numbers. She began having a headache for a month. One day on her way to work she blamed out three times! I picked her up from work and eventually she was admitted to the emergency room. A scan found the ‘trademark’ glioblastoma multiform. It was stage 4, inoperable. She was given 6 months to three years. She lived 8 very difficult, painful months. The autopsy showed 2 tumors in her brain and one in her brain stem. She was a great woman, loving wife and mother who had taught in Jr. High and been a pastor. It would have been so simple to avoid aspertame. She would probably be with us today. We didn’t know. Now you do. I was a Big soda junkie going back to my childhood. Drinking regular sodas until all the sugar began its detrimental damage, from weight gain to tooth decay, not to mention gas, bloating, etc. So I switched to diet Big-time and was consuming bottles and cans every day–until I began getting regular headaches and problems (including weight Gain–from Diet?). I started reading about Aspartame poisoning and how the stuff decays into formaldahyde and all… A few years ago I went cold turkey on All soda beverages and in no time at all, 99% of my headaches Disappeared! I also had more energy and perhaps a bit more health. Today I only drink tap water (which is well water in my house), ideally boiled on my stove and served as black tea. Now I only drink soda…socially…and very rarely on special occasions. I used to drink only Diet sodas, eat anything Diet, “Lite” Low calorie. I was always intent on trying to lose weight. Then I started having seizures – strong enough ones that I almost died. I was revived 3 times. Then the shakes started, and the “brain fog”, lack of concentration, unable to reason, I couldn’t walk without a cane. I was diagnosed with Parkinson’s Disease, and given heavy duty drugs. Since one should not drink alcohol with Parkinson’s meds, I would always order Diet soda’s when out for the evening…. Constantly continuing to poison my body, unbeknownst to me. I was taking Parkinson’s meds for 6 years before a new Neurologist discovered that I didn’t have the deadly disease after all, but what I had was Aspartame poisoning. Years of violent shaking and stammering, of seizures, of living like an idiot who couldn’t think like a rational person, and it was all because of Aspartame. I now avoid it like the plague. If my story helps ONE person, I will be happy. Please don’t eat or drink anything that says Diet, Low Cal, or sugar free without reading the labels. No-one should go through what I did. If Monsanto is behind it, regardless of what it is, it’s to be avoided like the plague. hey jasper, everything is poisonous you muppet! even water… its the dose that matters. Don’t think you are familiar with the definition of the word “shill”. Once I heard the negativity and poison of Aspertame, and to read labels, I cut off the poison little packages, the blue and yellow ones. Yet, I had a slow reckoning in not eating the “diet” products because I believed these foods were good. Then again I hear about what Aspertame does to our body and what a negative it is. I finally decided not to eat anything that says…low calorie, no sugar added and it reads “diet”…yeah, I read it again and say, poison!!!!!!! So I drink more water with limon, or even a little real sugar, sugar is bad if I overdo it, but I have learned that sugar…less is more. I don’t crave sweets, just on Holidays. 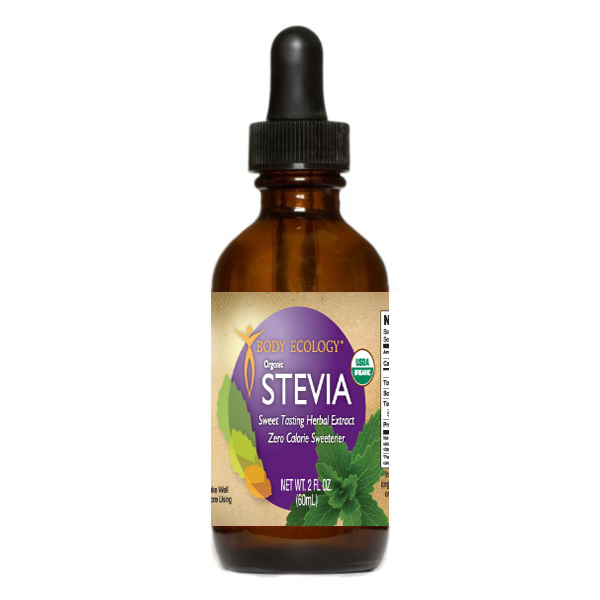 I am using Stevia, and I am learning in my old age, and teaching my adult children the dangers of the chemicals in our food. That natural foods are better and safer, to think before just buying sweets, diet foods. Just to think of what it will do to our bodies and of any side effects that could be detrimental and even early death. I enjoyed reading all about Aspertame, and also all the comments people left here for me. I am grateful, I also know that knowledge is power. This knowledge Is freedom of evil. Does twisted tea light have aspartame in it? It doesn’t give the ingredients anywhere!?!? Are we talking about Gary Johnson who must be about……well 14 or 15 at most …. plus… he was 29/30 so he is maybe 72 years old now? He worked for Monsanto in the UK. That Gary Johnson? Interesting. So, thirty-two years after this substance was proven to cause brain tumors, I’m ordering dinner with a friend, the waitress asks, “Anything to drink with that?” and he replies, “Yeah, I’ll have a Diet Coke.” They drove this poison to market despite all evidence that it is unsafe to consume. These corrupt business-people would have us all breathing nerve gas if they could convince us it would make us appear younger, thinner or more beautiful. When corporate greed meets consumer vanity, billions are at stake and it seems nothing can dam the river of cash at stake. Exactly what proof? This proof you speak off does not exist. Jasper – what are you a lobbyist for Monsanto? What proof? The 2nd and 7th paragraphs in the story above for starters. Monsanto – the same company that created Agent Orange and said it was safe. The same company that created GMO’s and claims they’re safe. Their claims are ONLY by “scientific researchers” on the Monsanto payroll. They bought Searle, based in the most corrupt city and state in the country – Chicago, IL. And through Donald Rumsfeld (a native from Skokie, IL) used political connections to get the poison they call NutraSweet approved. Now Monsanto not only has these crooks on their board and payroll, but they’ve helped place more of their cronies inside the FDA to continue pushing their poisons into America’s food chain so they can continue to fill their pockets with money. Some day, guys like Shapiro and Rumsfeld will see their kids or grand kids diagnosed with mysterious forms of cancer and diseases that all their millions won’t be save. Only then will they realize what they’ve done to the people and children of the world. HW and GW Bush own huge shares of Pfizer Pharmaceutical and used the FDA as an excuse to let people die here when there was a flu vaccine shortage. Rick Perry gets kickbacks from Merck and tried to enact law that would FORCE teenage girls to get unneeded HPV inoculations that would only stop ONE of a dozen strains of HPV. Trials showed many girls had horrible side effects. Big pharma, insurance companies and the MIC (Military Industrial Complex) run America through our corrupt congressmen many of whom have obviously been “lobbied” (bribed) in the same way Big pharma and the insurance companies wrote the ACA law (Obamacare) so they could exclude giving full-life medical care (Death Panels) to the Baby-boomers who’ve paid their insurance premiums all their lives. You’ll be given pain pills and paid incentives to “self-terminate” once you get any “expensive illnesses” the insurance board decides is not in their financial best interest to treat late in your life. Good idea! Buttons for Facebook have been added. Copy paste the web address to your Facebook? Have we become so a custom to accommodation that we can no longer be bothered to do more than press a little button? Just found this site, after being given an apparently dead stevia plant, which I am watering, because the leaves have not wilted, are still green, and I may be able to save it, and will plant it. For many years, I avoided aspartame, found that it was causing terrible problems in many people, and know that the corruption in government is crimes against humanity, and we do not charge them, they are given bonuses in the millions while killing us with their lies. Monsanto is evil, and needs to be dismantled, to start with. Searles as well. let us take back our government. feed our children safely, and stop their evil. I have found out the hard way to avoid Aspertame. I was drinking a diet drink daily that was processed with Aspertame along with diet desserts that contained Aspertame. I lost the use of my left arm and quit the Aspertame use. A couple of years later I forgot that Crystal Light contained Aspertame and drank quite a bit of it. I started having symptoms of a heart attack, went to the ER and was told they couldn’t find anything. I asked myself what I had done differently and remembered the episode that I had before. Cut out the Crystal Light and all symptoms disapeared. I shudder to think what might have happened to me had I not discontinued the Aspartame usage. Have you considered you may actually have another condition which reacts badly with aspartame (and most likely other substances)? Go to a doctor. Jasper it seems important to you that Aspertame is safe to eat. Can you explain why you think this? Maybe you should read my issues that mimicked Parkinson’s disease. Aspartame is POISON. No way around it.